Six things never to keep in the freezer! Geplaatst op 17 december 2016 door Krek. You might need glasses to read the cooking instructions on frozen pizza. 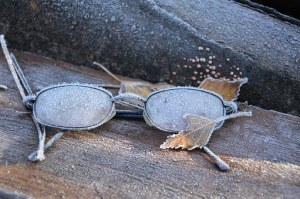 Still, dude, it is not good idea to keep your glasses with the pizza in the freezer. Because when you take the pizza and the glasses out and you want to read what the package says, you’ll get all fogged-up. Frozen shot glasses are OK, though.